Whatever your moving needs may be, our Lancaster movers will help you feel at home. Our professionally-trained student-athlete Meathead Movers and our moving concierge will be with you for the entirety of your move. 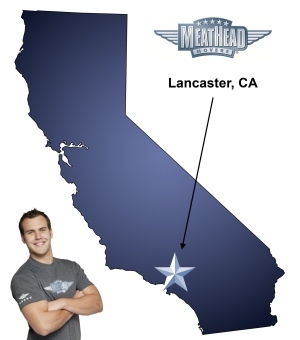 Welcome to Meathead Movers of Lancaster! No matter what reasons you have for moving, you’ll want to check out the services our Lancaster movers have to offer. Other movers can’t offer the quality of work and customer service that we can. Lancaster is a wonderful city for retirees and young families alike. It is also a great city for those who enjoy an active lifestyle. With over 600 acres of parkland, there are plenty of places to explore and play in. You can also enjoy the area’s natural splendor at Joshua Trees National Park, and the city’s beautiful poppy fields. Along with the city’s scenic beauty, it also has an active and thriving art community. You can admire the aerospace monuments and murals on historic Lancaster Boulevard, visit any one of the city’s countless museums and galleries, or catch a show at the Lancaster Performing Arts Center. No matter what reasons you have for moving, you’ll want to check out the services that Meathead Movers has to offer. Other Lancaster movers can’t offer the quality of work and customer service that we can. Meathead Movers performs commercial, long-distance, and local moves. We also provide reliable packing, storage, on-site relocations, and our distinctive moving concierge service. All our movers are clean-cut student athletes who go through a difficult screening and training process to ensure that they are the best in the industry. They’ll show you what the Meathead difference is by always jogging whenever they’re not carrying any of your items. Even though we are trying to change the perception of what a “Meathead” is, we understand if you don’t want one packing your delicate items. Our sister company, Princess Packers, is filled with professionally-trained packers who can provide a safe and gentle touch while handling even your most fragile possessions. We hold our movers accountable for the quality of work they do, and we make sure they handle your items with respect so that there are no problems when everything is unloaded. We’re the only moving company in California to offer a 100% satisfaction guarantee. If you don’t want any hassle when you’re moving to Lancaster, be sure to give us a call. Unlike other Lancaster movers, we offer support and a help-line seven days a week. Contact us to learn more about our services, and be sure to ask for a moving estimate. There’s no cost or obligation, so what are you waiting for? Moving to Lancaster? Here are some helpful resources. You were flexible when I had to change my plans. The movers were dressed professionally. They worked so well together and never slowed down. They had me walk through the house a few different times to be sure we hadn't forgotten anything. They were courteous and thorough. Nothing was damaged or broken. I highly recommend them. The care. The attention to detail. They took the time to problem solve. They acknowledged the value of a person's property. The young men we had helping us move were amazing and literally saved us days of work in getting our old home into our new home. It was expensive, but it was worth it to be done quickly and without nearly as much bodily pain in the ensuing days. On time, friendly but professional. They all worked very hard and did a good job. I will definitely recommend your company in the future.